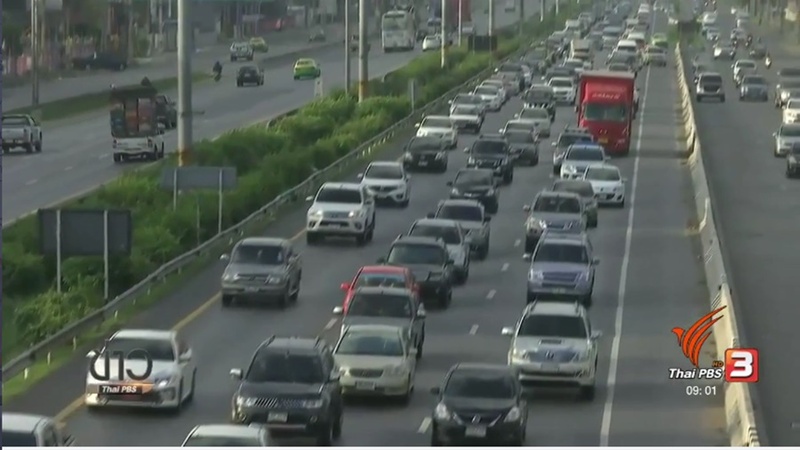 As Songkran holidaymakers continued to travel out of the capital to celebrate the week-long Thai New Year holiday by motor vehicles on roads today, the Road Safety Centre said a total of 82 people have died and 1,049 injured in the first two days of the 7-dangerous day campaign that began from April 11 to 17. The centre said that only yesterday, April 12, 48 were killed and 630 injured in 586 road accidents nationwide. Major cause of road accidents remain to be drunk driving or 42.32%, followed by speeding 30.38%. Motorcycle continues to be the vehicle that engaged in most road accidents or 84.16%. Most accidents occurred on straight sections of highways or 66.38%, while 36.18% on secondary roads in districts and villages. It said most accidents or 31% happened during 16.01-20.00 pm, and most deaths are people in the ages of 50 and over.